Half term in Cornwall runs from the 25th October to the 2nd November, this year incorporating Halloween, meaning there are many spooky activities being held during half term week. One of Cornwall's favourite winter attractions is the Ice Skating Rink at the Eden Project. Open from 18th October to 22nd February 2015 £6 per session with a valid Eden admission ticket. Nearby Property - Little Carwinnick, sleeps 4 from £351 for a week. The Cornish Seal Sanctuary in Gweek are hosting a combination of half term halloween fun. With trails, games and crafts, this is aimed at the younger children, but the seals and wildlife will captivate the older children. Half price entry to those in fancy dress! Nearby Property - Inglenook, sleeps 4 from £387 for a week. National Maritime Museum Cornwall is another great attraction offering a host of events throughout the year. Half term fun this year includes craft workshops focusing on fishy theme. At halloween they are hosting a torch list spooky Trick or Treat tour of the museum. 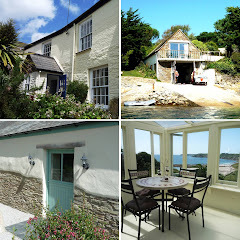 Nearby property - Demelza, sleeps 4 from £239 for a week. Lanhydrock House near Bodmin is one of our most favourite of the National Trust properties in Cornwall. It also has amazing gardens, so worth visiting at any time of year. All the National Trust properties in Cornwall put on activities during school holidays. Lanhydrock are hosting a 'spooky garden trail' this year. 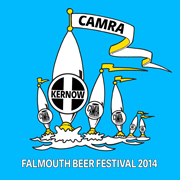 For the grown up kids Falmouth Beer Festival is held from 23rd October to 25th October at Princess Pavillion, Falmouth. Check out their Facebook page for more info, prices, and recommendations.